If you are running a business and you need to promote someone to chief executive officer, you may wonder what are the pros and cons of hiring a CFO to be a CEO. A CFO is an acronym for chief financial officer. As top level executives, CFO's can be a great candidate to run a company. However, there are also downsides to making this hiring decision as well. The CEO is essentially responsible for the success and failure of the company because the CEO ultimately leads the company and determines its direction. The CEO, along with other members of upper level management and sometimes in conjunction with the board of directors, sets goals and targets for the whole company. He may plan a merger, decide to open a new branch, or commission new products and ideas from the design team. The actual scope of a CEO's responsibility can differ dramatically depending on the size and function of the company. A CEO of a startup company may, for example, do everything and have a hand in every decision. A CEO of a huge multinational corporation, on the other hand, may have a staff of executives, vice presidents, managers and other employees who work under him who he delegates many of his responsibilities too. This is not to suggest, however, that CEO's of large companies are never hands on- for example, Steve Jobs of Apple fame is widely viewed as a CEO who pays attention to every single detail of his products and who is a stickler for detail on approving even the smallest things. A CFO is also a chief executive, but his duties are a little more narrowly focused. While the CEO guides the direction of a company as a whole, the CFO is the finance guy or girl. CFO's generate financial data and information on a company, reporting that information to other executives or the public so everyone can see how the business is doing and make needed changes. 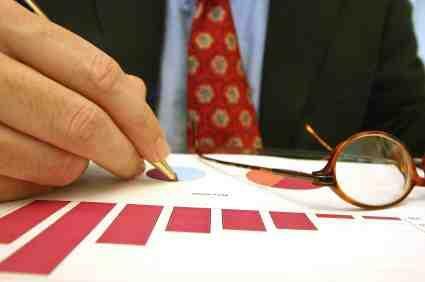 A CFO may also make recommendations for budgeting and investing money in the future as well. Duties can include determining how much of a cash reserve a company should hold on to, where its money should be invested, determining which areas of the company are efficient and need to be streamlined, and making recommendations on other ways to improve a companies financial picture. So, if you have to hire for a CEO job and you have a CFO or a CFO applies for the job, what are the pros and cons of hiring a CFO to be a CEO? It seems as if the job descriptions of the two are pretty different... but in some cases, there is sufficient overlap to make it make sense to hire a CFO to be a CEO. If you hire a CFO from your own company, the CFO already knows the business and how it functions at the executive level. He may know the other executive staff and the board of his directors from his time as a CFO. He may also have a clear grasp of the companies financial picture and be able to help implement his financial recommendations from the CEO position better than he would have been able to from the CFO position. Regardless of where you hire the CFO from, a good CFO should have an understanding of what it takes to run a business in a cost effective manner. He should know how to determine what is profitable and not profitable. Ultimately, these skills can be used to make any business decision, and so a CFO may be able to direct the company just as well from the CEO position as from the CFO position. The main goal of any CEO is to create a profitable company, and having the financial knowledge that comes from being a CFO can help a person to do that. Ultimately, the decision will depend on the particular CFO in question and whether he has the skills and talents to do the job you need him to do. That can best be determined in an interview and by getting to know the CFO you are considering.